DR Interview with David Pavlick of Nous Defions about Arsenal Democracy’s Future, and Tactical AR Carbine/SBR and Blackside Glock Combat/Tactical Pistol Accessories, Components and Parts: 10 Questions | DefenseReview.com (DR): An online tactical technology and military defense technology magazine with particular focus on the latest and greatest tactical firearms news (tactical gun news), tactical gear news and tactical shooting news. Shortly after SHOT Show 2015, DefenseReview (DR) published articles on the Arsenal Democracy (AD) Blackside Glock pistol packages and select-fire/full-auto 5.56mm/300 Blackout (300BLK) tactical AR (AR-15) PDW SBR (Personal Defense Weapon Short Barreled Rifle), both of which were pretty impressive. Since the show, Arsenal Democracy has experienced some interesting internal developments, including significant management changes. David Pavlick, AD’s former COO, formed a new company, Nous Defions (Translation: “We Defy”), which recently acquired all of AD’s assets, and Pavlick is now running Arsenal Democracy as CEO. David Crane, DefenseReview (DR): The last few months have been interesting ones for Arsenal Democracy. You guys have experienced some pretty serious changes over there, a little ship righting, if you will, and you recently published a press release about it on your Facebook fan page. Arsenal Democracy’s new parent company is Nous Defions, which is an interesting name. David Pavlick, Nous Defions/Arsenal Democracy: The last few months have been trying for the Arsenal Democracy Brand and for the company as well. Due to some indiscretions and mismanagement at the top, things were in a tailspin for AD as a company. I came back with my own company, Nous Defions, LLC, to take over the assets of AD and get the brand back to where it should be. There were certain changes and projects that I couldn’t bring to fruition before, but now I have free reign to make this one of the best companies in the Industry. Nous Defions means “We Defy” in French. Its roots go back to WW2 and the mixing of the 1st Special Service Force and other Allies to make one of the most effective Special Forces in history. As an Assaulter in C-3/7 the Skull symbol and motto was something I saw daily and it has always stuck with me. I thought it was fitting considering some of the odds we as a new company would face on the road to success. We will defy them all. Crane: Based on the press release, it looks like you guys really have your priorities in order re serving your customers. Pavlick: It is our first priority as a company and it was an easy decision for us to make. No CEO likes to report to his Board that his first act is to spend around $100K, but integrity is everything to me and our reputation is something that is worth far more. I knew that to move forward as a brand and as a company we absolutely need to make it right for the customers. By doing so, we will show everyone that the brand they believed in was [in it] for the right reasons. I want every customer to be a customer for life. You can’t put a price on that, what we paid was a bargain. 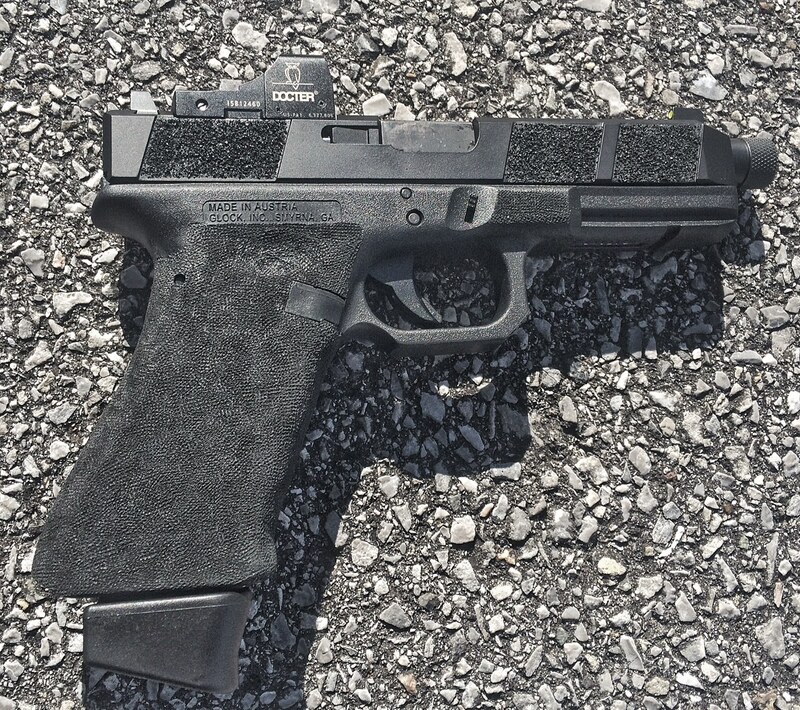 Crane: DefenseReview (DR) published articles earlier this year on the Arsenal Democracy AR PDW SBR (Personal Defense Weapon Short Barreled Rifle) and Blackside Glock Pistols with SwiTch Trigger, after we handled those two products at SHOT Show 2015. Are you still going to offer those, and if so, when will they be available? Pavlick: We will absolutely be offering the PDW, both as a separate accessory and as a complete weapon system. During the transition, a lot of those programs were shelved, and I am updating all of them for re-release while getting the company back on track. 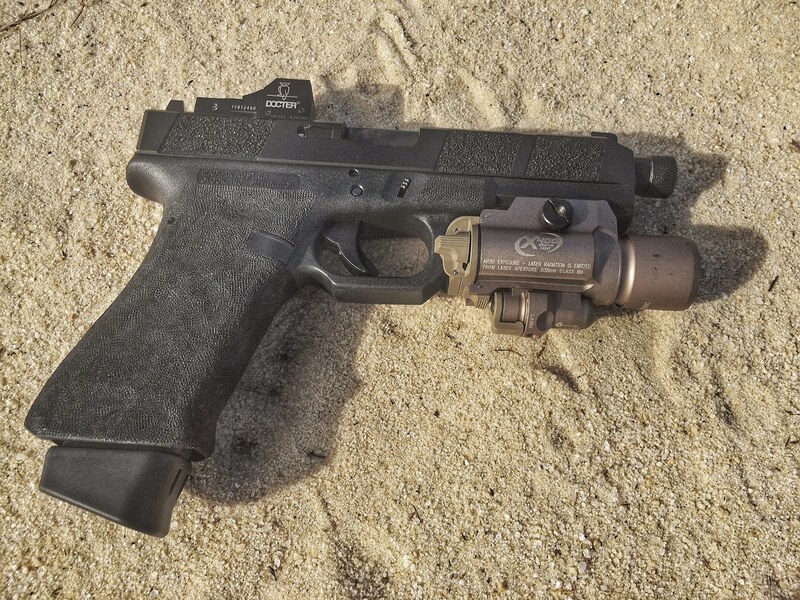 The Blackside Glock pistols and the SwiTC/H Trigger are already good to go and standing by. 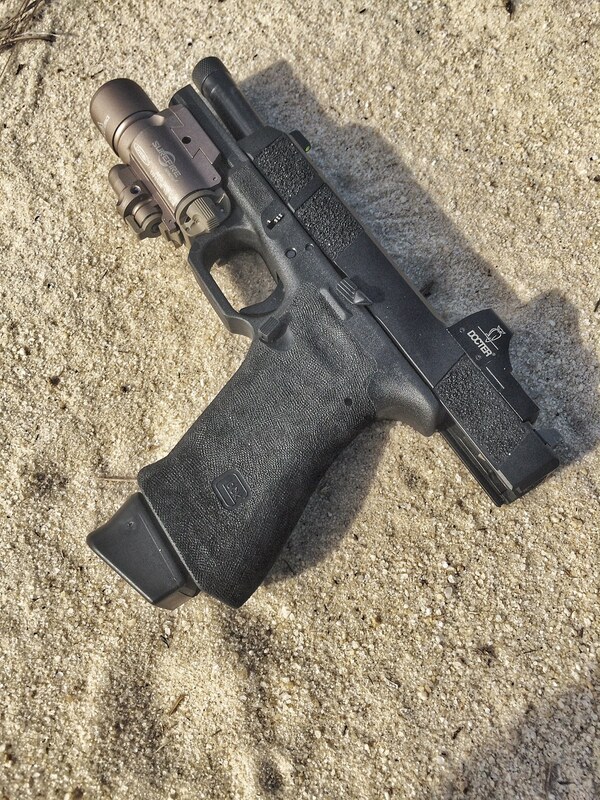 I have even added a low-profile Magwell to the program that will be released along with the SwiTC/H in a few weeks. It was designed with Body Mechanics and Reinforced Reloads (R2) in mind. I think the tactical shooting community will love it. 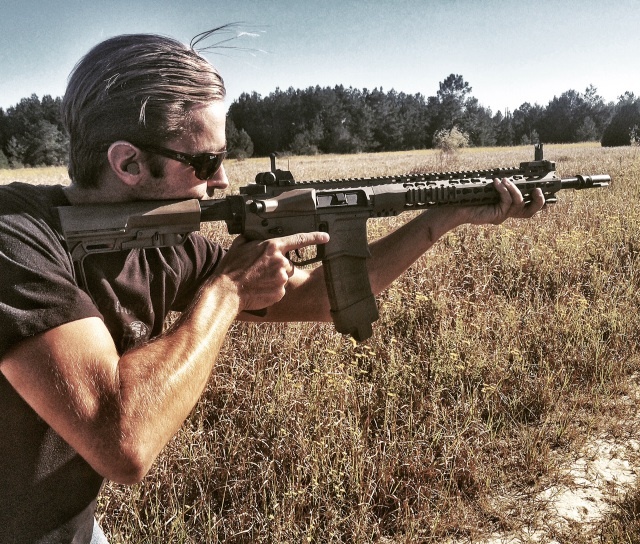 Crane: At SHOT, you mentioned that Arsenal Democracy is developing some of its own tactical AR rifle/carbine/SBR components, as well as its own Glock components (in addition to the SwiTch Trigger), like your own Glock slides, which looked pretty good from the prototype we handled. Will these be offered a la carte so people can upgrade guns they already own, and will you be designing and developing your own Glock pistol frames, as well? Pavlick: We will be offering our Ambi Selector Switch and our Ambi Mag Release (AMR) as separate accessories, definitely. 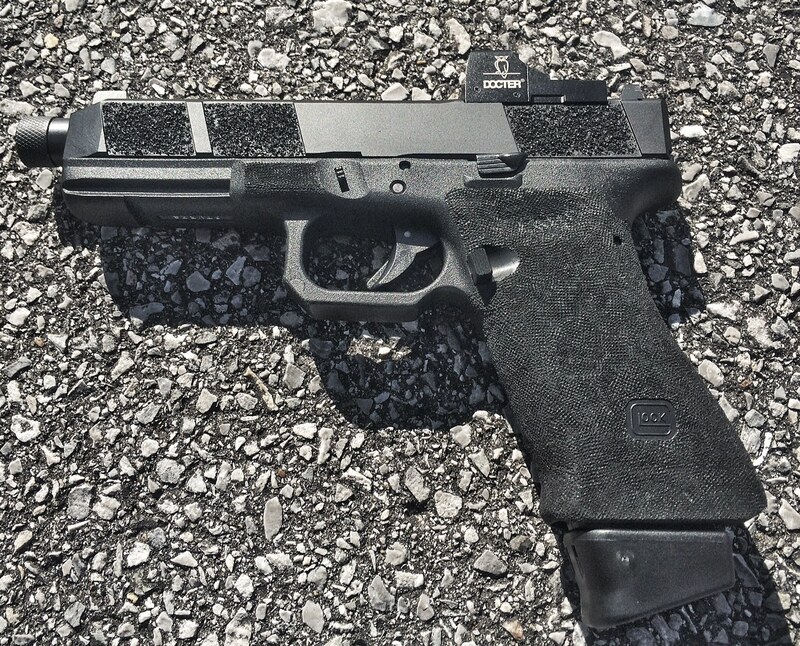 The Glock Trigger and Magwell are also a big part of that rollout as well. We are currently looking at a Slide program for a Unit where we would just sell the optic ready Blackside slides and barrels separately in a kit. If it is successful we may look at opening that up for the public in the near future. Frames in polymer are a large undertaking, and something out of Aluminum with Steel inserts would be something we would consider first. That project is something we could conceivably be looking at next year if the demand remains. Either way, customers can always send in their Glocks to us so we can make these upgrades all on their own platform for a fixed rate. Crane: During a recent phone conversation, you told me about some of the feedback you’ve gotten from Arsenal Democracy customers who’ve used their guns in high-round-count tactical carbine classes. It sounded very positive. Can you provide some details on that? Pavlick: Sure. Several AD rifle owners have had some incredible feedback regarding a lot of hard use courses and training. The typical round count for these users is over 15,000 rounds in just over a year and they have not changed one spring or component or had anything break down. That further validates the components and treatments we have been using in our builds and that lets us know that we are definitely on the right track. We still are looking at new ways to improve the platform with better materials and processes, as well as some new designs to enhance shooter’s experience even further. Stronger alloys, Cryogenic treatments, and other things I won’t divulge yet are absolutely on the horizon for our weapon systems. We are never content to just sit back and let the platform grow stagnant. It is something that can always be improved as technology gets better, and especially as our end users have greater mission sets and requirements. Crane: Looking ahead, what will Arsenal Democracy be focusing on most, building/manufacturing complete guns (rifles and pistols), customizing/upgrading customers guns, or selling Arsenal Democracy brand upgrade parts/components for customers to upgrade their own guns? Pavlick: I’d have to say our main focus is innovating on our rifle platforms and on our pistol modifications. Our flagship model, the AD-16, as well as our forged model AD-15 and .308 AD-17 will be our top priorities, with accessories that enhance them close behind. We are, of course, open to selling our separate AR and Glock accessories to the public for folks who want to upgrade what they already have with something new and advanced. Crane: How would you describe the Arsenal Democracy visual design aesthetic? 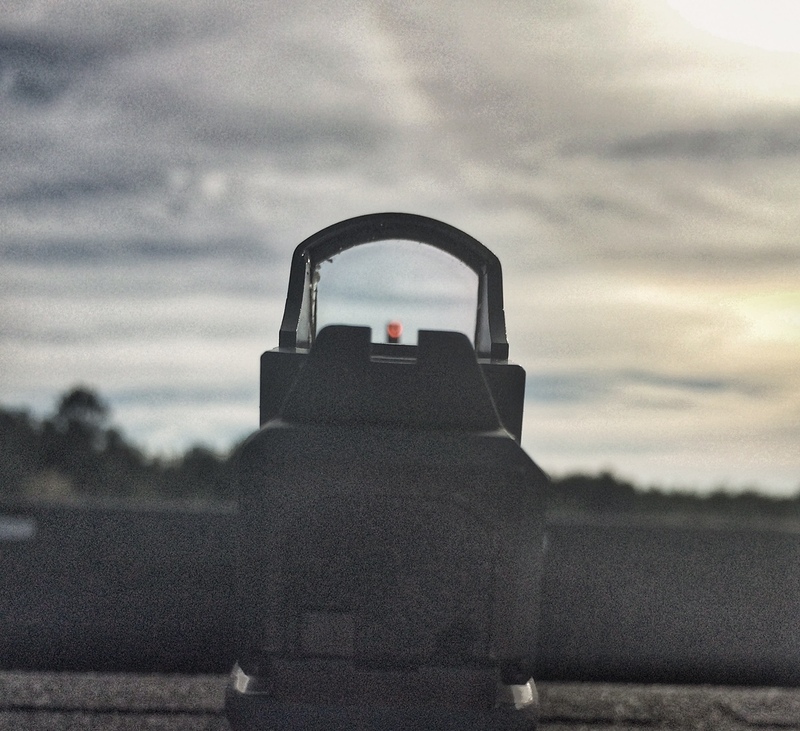 The guns Defense Review handled seemed to be examples of tasteful minimalism, with martial application being the primary design driver, which was a bit different from the guns we first handled at SHOT Show 2014 at the Mission First Tactical (MFT) booth. Pavlick: That’s a hard one to put into words. You’re absolutely right about minimalism; Gen2 has gotten even more so. Each line and angle has a purpose, we’ve just made it flow in a way that looks pleasing as well. I’ve always designed in a futuristic way and considered the ergonomics, which can both enhance each other and still be on opposite sides of the visual spectrum. Some of the angles are cold, almost robotic like the AMR, but then others are muscular and organic looking, like the Forward Assist/Shell Deflector. Everything follows this aesthetic, and I strive to make every part flow into the next to complement the end-user experience. It has given us a distinctive look, and for the users who have tried it, they feel that there is no going back. Crane: DR’s two primary 5.56mm tactical AR’s at present are a Bravo Company Manufacturing (BCM) 14.5″ mid-length direct-gas-impingement (DGI) carbine and an Adams Arms (AA) EVO Ulralite 16″ mid-length short-stroke gas piston/op-rod (push-type operating rod) carbine. They both represent an excellent bang for the buck, excuse the pun, and we’re very satisfied with them, so far. The Arsenal Democracy guns (complete rifles) are a bit more expensive than the BCM and the AA guns, and occupy a little different market niche. What does one get for the extra money that boutique AR’s like the Arsenal Democracy guns cost? Pavlick: I couldn’t agree more that those options are a great bang for the buck at their cost. 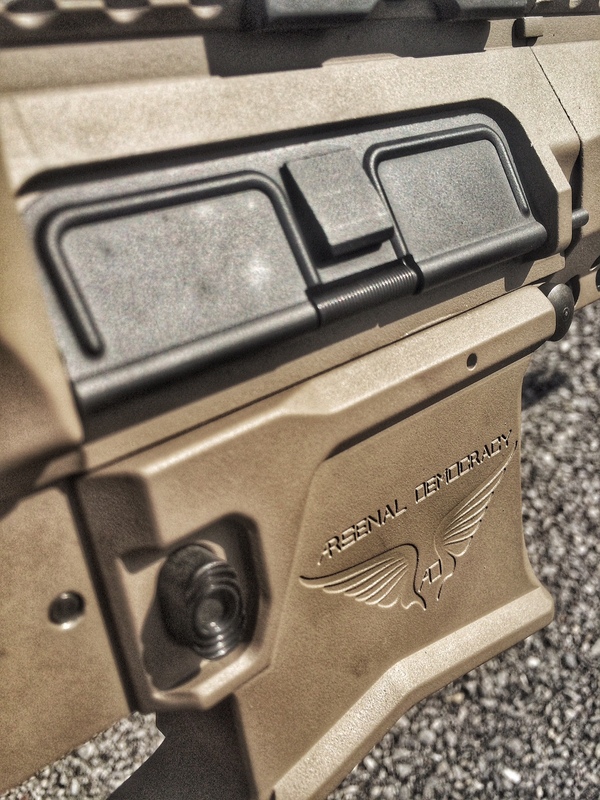 That’s why we will be rolling out an enhanced forged AR option in that same price category, in some cases for less. We will be calling it the AD-15, and its target price point will be sub $1300. It will still be an Accurized receiver with an excellent government profile barrel in melonited 4150 CMV and a fixed gas block. We will still use Cerakote in base colors, and we will still utilize our Deadblow buffer system and an enhanced BCG with MicroSlick coatings. There will also be an excellent KeyMod or M-LOK freefloat handguard based on our same proven barrel nut system. It will be comparable to rifles hundreds of dollars more expensive, and we think its performance will speak for itself. It is something we began working on to replace the carbines of a police department whose rifles have reached the end of their life cycle. The AD-16 will still remain our premium, flagship model and will continue to dominate in accuracy, adaptability and reliability. For those that want the very best, there will be no substitute for the AD-16. Crane: Are there currently any Arsenal Democracy AR’s or Blackside Glock pistols in US military SOF (Special Operations Forces) hands? If so, have you received any feedback on them, yet? If not, have you at least received some initial feedback from SOF assaulters/operators that handled them (like we did) at SHOT Show 2015? Pavlick: We have multiple Mod 0 and Mod 1 AD-16’s out in select SOF Units, and the feedback has been terrific. Our chambers were initially a little tight for frangible ammo used in training, but we immediately updated the spec, and now it is the standard. 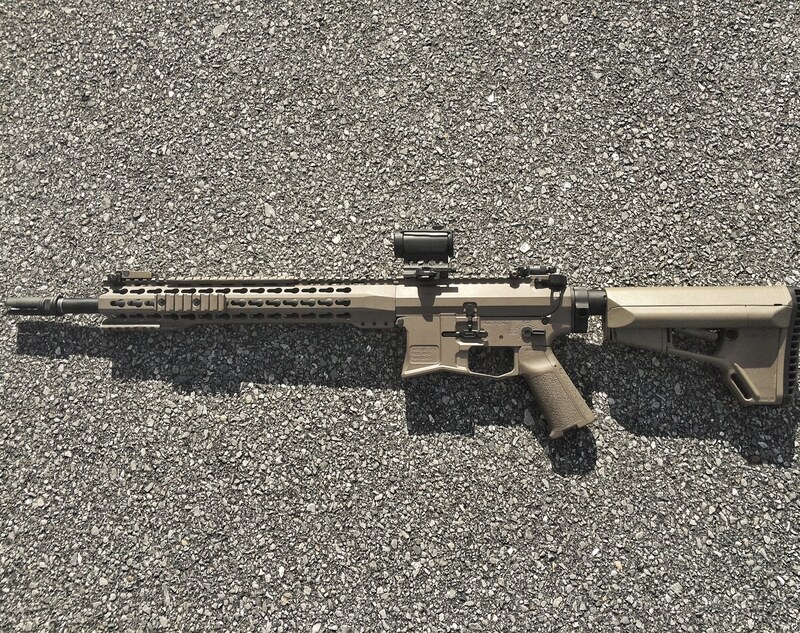 The SOPMOD program was first designed by us to outfit SF soldiers on deployment that wanted an enhanced upper receiver within the constraints of the Laws of Land warfare. They still utilized their issued lower receivers and remained in compliance, while getting the maximum accuracy and adaptability with suppressors as possible. A lot of them ended up purchasing complete guns when they got back from deployment and stopped by for refit. Our uppers as well as complete rifles in their hands have gone through some tremendous abuse and round counts, and have performed perfectly. We are extremely proud of that fact. We have also done several Blackside pistols for SOF guys personally, which eventually prompted the solicitation from a Unit regarding a complete optic-ready slide in a kit. We knew exactly what they needed because we have had the same issues regarding the inventory weapon system in theater, and we know we can deliver the best solution for that requirement. Now that I’m officially retired, those guys are our direct link to the cutting edge of SOF and its mission set. We could not test our platforms and accessories as quickly or thoroughly without their support, and we will never forget that. They were our first customer and their feedback is priceless. Crane: What are Nous Defions’ primary goals for the Arsenal Democracy brand and its rifle and pistol products in 2016? Pavlick: Our goals after rolling out the Gen2 AD-16 and its accessories is to introduce the AD-17, our version of a CSASS or Compact Semi-Automatic Sniper System. We are using the requirements of the U.S. Military CSASS program as our guidelines for accuracy, size and weight, with our own style and aesthetic mixed in. We have had some promising results in the trials leading up to this products development, and we think it will be an incredible offering at a sub-$3,000 price point. We also have designs for Suppressors that we really want to bring to market to complement our rifle systems. I can guarantee that [we] will bring the same forward-thinking aesthetic and performance into the suppressor line that we do in our rifle line. We wouldn’t do it if we couldn’t do it better from the start. 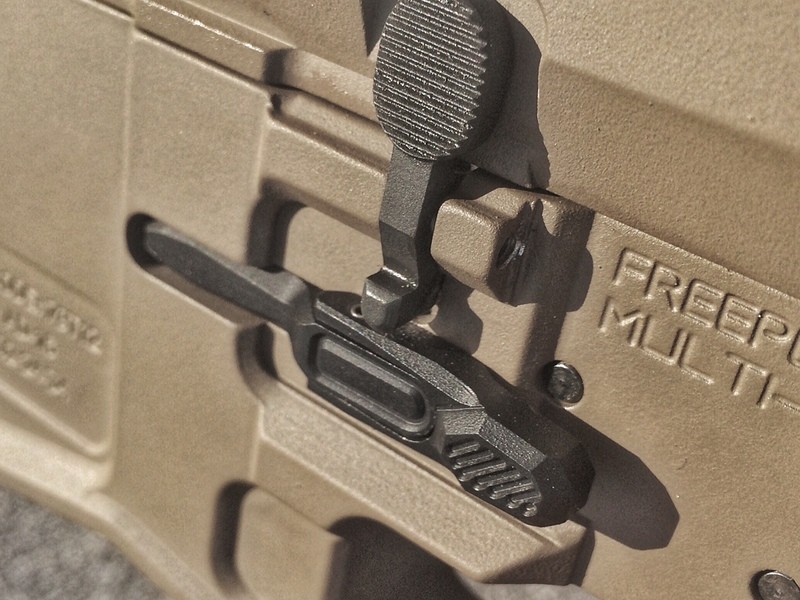 Hydraulic Recoil Buffers for the Tactical AR-15/M4/M4A1 Carbine/SBR: Friend of Foe? From the Enidine Recoil Buffer to the KynSHOT Recoil Damper (and Crosshair) Buffers! 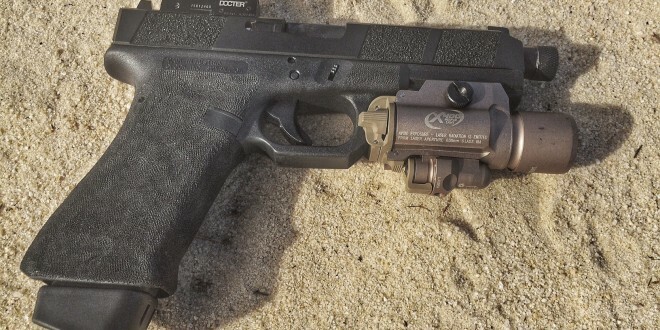 ZEV Technologies (ZEV Tech) GlockWORX Z19 Enhanced SOCOM and Z19 Trilo Custom Glock 19 (G19) Pistol Packages with Trijicon RMR Mini Red Dot Sight Combat Optic for Military Special Operations Forces (SOF) and Civilian Tactical Shooters!